“Routine exercise can help you manage your weight, improve your flexibility, relieve stress and lower your risk for major health problems such as diabetes and high blood pressure. And now it can put money back in your pocket, too. We’ll reimburse you up to $400 of your fitness center membership dues! 2. Track your workout sessions. 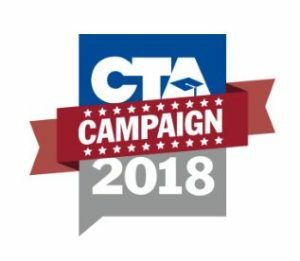 Check out the CTA’s Campaign 2018 by clicking the icon above.